Article by James Wierzbicki, drawn in large part from "Hanns Eisler and the FBI," Music & Politics vol. 2, no. 2 (2008). 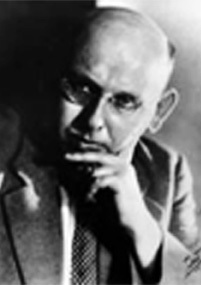 The reputation of Hanns Eisler (1898-1962) in his native Germany is remarkably different from his reputation in the United States, where he lived from 1937 until 1948. After his American sojourn Eisler settled in East Berlin, where he was promptly elected to the German Academy of Arts and for twelve years served as an esteemed professor of composition at the Hochschule für Musik. After his death, the school was renamed the Eisler Conservatory in his honor, and in 1994 the reunified Germany officially supported both the founding of an International Hanns Eisler Society and the launch of a critical edition of Eisler's collected works. In contrast, Eisler in the United States remains known primarily as a once-upon-a-time modernist who withdrew from serious critical consideration when in the mid-1920s he boldly espoused the idea that music is useless if it is directed only toward sophisticated ears; he is known as well for composing scores for a handful of largely mediocre Hollywood films and for having co-authored, with Theodor Adorno, a densely theoretical book on film music. The most enduring aspect of Eisler's fame in the United States, however, has to do not with music but with politics. Eisler was suspected of being an "enemy of the American people" and thus subjected to six years of intense scrutiny by the Federal Bureau of Investigation; although no incriminating evidence was found, Eisler in 1947 nevertheless was subjected to prolonged and harsh public questioning by the House Un-American Activities Committee, and his exit from the United States was spurred by an official order for deportation. American attitudes toward Eisler's music are changing for the positive, but only slowly. As British musicologist David Blake wrote in his entries on Eisler for both the 1980 and the 2000 editions of The New Grove Dictionary of Music and Musicians, probably "no composer has suffered more from the post-1945 cultural cold war." Eisler was born in Leipzig but grew up in Vienna, where his father, an Austrian Jew who had earned his doctorate in philosophy in Leipzig, eked out a living as an editor and translator. Both of his parents were amateur musicians, and from early childhood Eisler immersed himself in music. It would not be until 1918, howeverafter he spent two years of World War I in a Hungarian regimentthat he had any formal lessons in composition. None of the works composed while Eisler was a schoolboy survives, but the output apparently included a piano sonata, numerous songs, incidental music for Hauptmann's play Hanneles Himmelfahrt, and a symphonic poem based on the writings of Jens Peter Jacobsen. Sketches for an oratorio titled Gegen den Krieg were made and lost during Eisler's service at the front; the extant wartime compositions are limited to songs for piano and voice featuring poems by Christian Morgenstern and translations by Alfred Klabund of Chinese poems. Written under enemy fire, the settings of the Chinese texts are emotionally uninhibited responses to the horrors of war. The Morgenstern settings— a half-dozen Galgenlieder ("Gallows Songs") and a pair collectively titled Die Mausefalle ("The Mousetrap")— were composed while Eisler recuperated from injuries first in a field hospital and then in a convalescent facility near Vienna, and they are indicative of the wry direction Eisler's music would take over the next decade. After his discharge from the army in November 1918 Eisler studied composition with Karl Weigl at the New Vienna Conservatory and supported himself with proofreading work at the Universal Editions publishing house. During his first few months as a civilian Eisler composed prolifically, producing dozens of songs— most of them romantic, even sentimental, in nature— with texts by such poets as Morgenstern, Trakl, Rilke, Tagore, and Eichendorff. Study with Weigl served primarily to clarify procedure for a young composer hitherto self-taught in composition and harmony. Eisler's formative musical education began in the late summer of 1919, when he was accepted for private instruction, without fee, by Arnold Schoenberg. Rather than instruction in the creation of atonal or serial music, Eisler's study with Schoenberg focused on exercises in eighteenth-century counterpoint and harmonic analyses of the music of Johannes Brahms. But Eisler breathed deeply the modernist air of Schoenberg and his circle: he was given a low-level administrative job with the prestigious Verein für Musikalische Privataufführungen (Society for Private Musical Performance) that Schoenberg had founded in 1918, and he frequently accompanied his teacher on music-related trips outside Vienna. As might be expected, Eisler in the early 1920s composed music that very much shows the influence of his mentor. But quite unlike the consistently sober music of Schoenberg, however, Eisler's first published works the Op. 1 Piano Sonata, the Op. 2 set of six songs with texts by Japanese poets, the Op. 3 Piano Pieces, and the Op. 4 Divertimento for wind quintet feature many moments of levity. Although based on the ordered unfolding of twelve-note series, the harmonies in their progressions often allude to traditional syntax, and the music's rhythmic propulsion typically draws from the vernacular rhythms of jazz and other popular genres. A self-taught Expressionist who vented Angst with humor and later a well-trained serialist who referenced tradition in order to temper a rigorous new methodology, Eisler almost from the start was a composer who valued connection with his immediate audience over an imagined seat in some futuristic pantheon. But however 'light' his music might have seemed during his years under Schoenberg's tutelage, it lightened far more when in the autumn of 1925 Eisler accepted a teaching position at the Klindworth-Scharwenka Conservatory in Berlin. The stylistic shift was prompted by political ideology. Almost by definition, the Schoenbergian aesthetic was elitist: to actually hear relationships between one form or another of a twelve-tone series demanded phenomenal listening skills, but simply to appreciate why some composers might find it necessary to create music in the serial vein required an understanding of the long history of nineteenth-century European art music and its connection with economically fueled societal issues. That Eisler was anti-elitist at heart is evidenced by his involvement, while still in Vienna, with various 'workers' singing societies. But after moving to Berlin, where his brother and sister had for several years been active communists, Eisler became a zealot. In 1926 he applied for membership in the German Communist party; that he was denied membership, as is documented by the FBI files, had mostly to do with the fact that he failed to pay his dues on time. Also as is documented by the FBI files, Eisler in 1926 began to write articles on music for the Communist periodical Die Rote Fahne. And he fairly threw himself into the creation of anthems, marching songs, and pieces for unaccompanied men's chorus that were not just overtly supportive of the proletariat in their texts but also self-consciously 'accessible' in their musical content. Not surprisingly, this led to a break with Schoenberg. Schoenberg, who moved to Berlin in January 1926 to teach at the Prussian Academy of Arts, accused Eisler of being disloyal. Eisler in turn accused Schoenberg of being esoteric and, more damningly, bourgeois. In a bitterly rejective letter to his once-revered teacher, Eisler wrote: "Modern music bores me, it doesn't interest me, some of it I even hate and despise. Actually, I want nothing to do with what is 'modern.' … Also, I understand nothing (except superficialities) of twelve-note technique and twelve-note music." Eisler, of course, understood a great deal about twelve-note music, and despite his bravado he was not about to abandon either his serial skills or his awareness of the melodic/harmonic possibilities that the serial method afforded. This led to a dilemma. On the one hand, Eisler had good reason to believe in his potential as a serious composer; on the other hand, Eisler was in the throes of rebellion against the very system that allowed him his burgeoning success. Early in his retreat from the world of 'elitist' music, Eisler composed two works that demonstrate the ambivalence he must have been feeling. One of these, based on bitterly sarcastic excerpts from his own diaries, is the Op. 9 Tagebuch des Hanns Eisler, for three female voices, tenor, violin, and piano (1926); the other, based only in part on the more or less grim newspaper clippings suggested by the title, is a set of ten songs that make up the Op. 11 Zeitungausschnitte (1925-27). Neither piece makes use of serial techniques, but the Tagebuch craftily juxtaposes a quotation from the "Internationale" with references to Schoenberg's 1923 Op. 9 Chamber Symphony and harmonically vertiginous episodes based on whole-tone scales, and the Zeitungausschnitte throughout is decidedly brittle and nonlyrical. A notebook kept by Eisler in 1928 teems with comments and musical sketches that suggest that Eisler, however bold his public statements and activities, was in fact torn between aesthetic and political allegiances. Eisler's Tagebuch and Zeitungausschnitte received their premieres in 1927, the one in Baden-Baden at a festival of contemporary music organized by Paul Hindemith, the other on a concert sponsored by the Berlin chapter of the International Society for New Music. At least for a while, these would be the last of Eisler's efforts to participate in what Eisler acridly described as "the bourgeois concert business." Over the next half-dozen years Eisler concentrated almost entirely on projects that in one way or another furthered the socialist cause. Along with vocal pieces that fall more or less into the category of 'Kampflieder' ("songs for the struggle"), these include scores for a handful of silent films andtriggered by meetings with director Erwin Piscator in 1928 and, significantly, writer Bertolt Brecht in 1930suites of incidental music for a large number of politically flavored theatrical productions. The exile that Eisler experienced between 1926 and 1933 was self-imposed and based not just on a strident political attitude but also on ideological reaction to prevailing trends in contemporary music. The exile that began in January 1933 was of an entirely different sort. Eisler happened to be in Vienna, supervising the music for a production of Brecht's play Die Mutter, on the day that Germany's president assigned to Adolph Hitler the title Chancellor of the Reich. Well aware that his life was likely now in danger, the Jewish and outspokenly anti-fascist Eisler wisely chose not to return to Berlin. Before Hitler's rise to power, Eisler had twicein 1930 and 1931briefly visited the Soviet Union. After Hitler's installation as Chancellor, Eisler moved not east but, for the most part, west. Not until January 1938 would Eisler 'settle in' to a teaching position at the New School for Social Research and what he hoped would be permanent residence in the United States. Before that his odyssey took him to Prague, Paris, Amsterdam, and London (1933); to Copenhagen, Paris, and London (1934); to Strasbourg, London, Moscow, Prague, andon two occasionsNew York (1935); to London, Barcelona, Amsterdam, Brussels, and Copenhagen (1936); and to Madrid, Copenhagen, and Prague (1937). Even under the duress of traveling almost constantly and without a passport, Eisler managed to compose. His output from these years includes film scores and, as one might expect, music overtly supportive of the proletariat cause. But it also includes concert works that suggest Eisler, now a refugee, was experiencing a change of heart regarding musical techniques that just a few years earlier he had vociferously eschewed. The Op. 29 Kleine Sinfonie and the Op. 30 Suite No. 4 for Orchestra that Eisler completed just before exiting Germany certainly show the hand of a serial composer. More self-consciously serialist, as is evidenced by the explanatory essay that accompanies it, is Eisler's 1934 Prelude and Fugue on B-A-C-H, Op. 46, for string trio. The Op. 50 Deutsche Sinfoniestarted in 1935 and completed in 1939is composed entirely in what Blake has described as "Eisler's distinctively tonal type of serialism." Likewise for all nine of the Chamber Cantatas for voice and various accompanying ensembles that Eisler produced in 1937 and, from the same year, the Two Sonnets set to texts by Brecht; the serial writing in the Sonnets is especially rigorous, yet it is serial writing thatas German biographer-critic Jürgen Schebera observesnevertheless "through its 'Eislerian' handling of materials speaks an utterly clear musical message." Eisler's rapprochement with serialism was hardly limited to his years of travel. It may be that the first major work Eisler composed upon his move to New York, the 1938 String Quartet (Op. 75), is fundamentally a melodic piece, but its pitch sequences are nonetheless intricately serial. Also intricate in their deployment of serial lines are the 1938 Five Orchestral Pieces, the 1940 Chamber Symphony (Op. 69), and the 1941 quintet titled Fourteen Ways of Describing Rain (Op. 70). Indeed, the quintet stands out as the most strictly organized piece in the entire Eisler catalog, and perhaps this has something to do with the fact that it was conceived as a birthday tribute to Schoenberg. The Five Orchestral Pieces, the Chamber Symphony, and the Op. 70 quintet are works intended for the arguably 'elitist' concert hall, yet all of them stem from impulses connected with the 'populist' venue of the cinema. Like the fairly light Scherzo for violin and orchestra, the tautly serial Five Orchestral Pieces derive from music Eisler composed for a 1938 Joris Ivens documentary film on China titled The 400 Million. The 1940 Chamber Symphony is based on materials that would surface later that year in the score for the short documentary film White Flood, and the 1941 quintet is based on a set of variations originally designed to accompany a showing of Ivens's 1929 silent film Regen ("Rain"). Even in his scores for commercial Hollywood films Eisler occasionally used serial techniques. And even in his most serious concert works Eisler managed to fill serialist prescriptions in ways that are likely to strike most listeners as comprehensible both aurally and emotionally. Regardless of its genre, the music from Eisler's years of exile often demonstrates what German critic Martin Hufner in 1998 described as "serialism with a human face." Eisler left the United States in March 1948 and traveled to London, Vienna, and Prague before settling in East Berlin. One of his first compositional activities was the setting to music of Johannes Becher's poem "Auferstanden aus Ruinen," and the result was promptly selected as the national anthem for the newly established German Democratic Republic. Eisler sustained his collaboration with Brecht and other playwrights, between 1948 and 1961 writing music for seventeen theatrical productions; similarly, he continued to compose music for both feature films and documentaries, and to composeprolificallysongs and anthems for non-professional choruses. Even though this public-outreach music is relatively conservative in idiom, in intent it is no less 'serious' than the music that Eisler, comfortably positioned in post-war East Germany, wrote for the concert hall. At the same time, and despite its sophisticated use of serial technique, Eisler's later concert musicwhich includes a Rhapsody for soprano and orchestra based on a section of Goethe's Faust (1949), the cantatas Mitte des Jahrhunderts (1950) and Die Teppichweber von Kujan-Bulak (1957), and dozens of songs fitted with both piano and orchestral accompanimentis no less 'accessible' than his music designed for the ears, and hearts, of the general public.